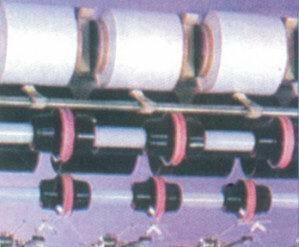 70mm Plot TFO, Electric Motors for textile machine, machine Spindle Speed, textile machine :: Sapru Machines Pvt. Ltd. :: Surat :: Gujarat :: India. Spun yarn pot size 120 to 400 mm. Synthetic yarn pot size 50 to 400 mm. Cop winder 240 to 420 mm. Spool winder 75 to 250 mm. Embroidery Thread TFO knotless 3 kg. 57 or 69 x 160mm Tube/1.5 Kg. Supply Package 32 x 270mm Alu. Cop / 800gm.